Logistics Plus® truckload shipping solutions – a get free and quick truckload quote on your next dry van, flatbed, and refrigerated shipment. We have access to thousands of pre-screened safe and reliable carriers. 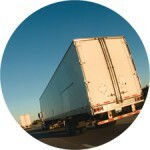 Use this form to request a quick truckload quote. How did you learn about Logistics Plus?